My laptop has a browsing system on it that provides some good pictures that show up as my computer turns on. You like your pack horse bridges, GP? 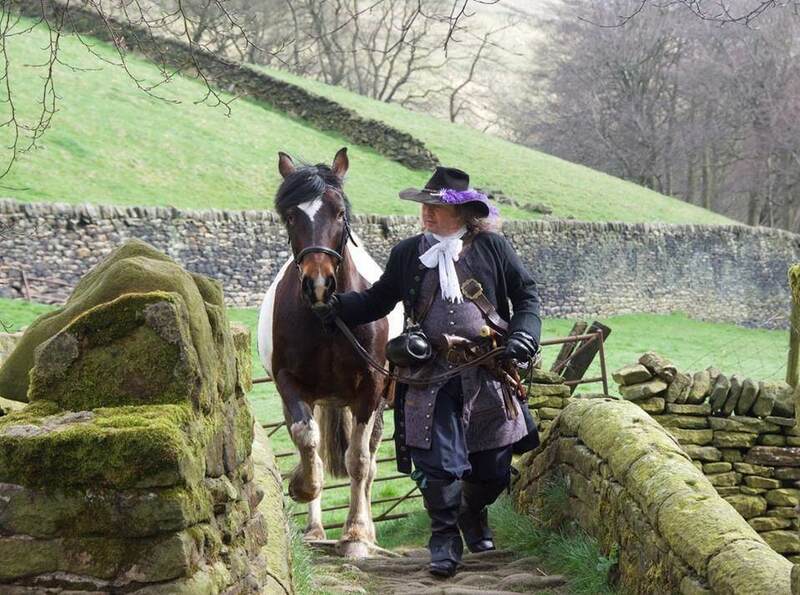 Here's me as a highwayman leading a stolen horse across a pack-horse bridge near to Marsden, West Yorkshire. 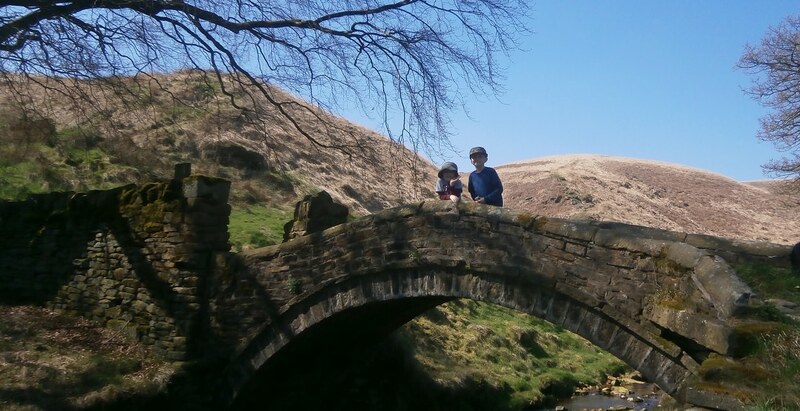 I liked the bridge so much I took my kids there for a walk over it and around the hills a couple of weeks later. I like those stone walls! And the purple feather on the hat! I tell the kids that I wanted a dark colour for my panache, not a white one, because I am a highwayman. With a dark panache I can hide in the shadows, but with a white one pursuers would see me as I fled, like a willo-the-wisp dancing between the trees, or a jack-o-lantern advertising my presence to all and sundry. @ GP : awesome bridge. Not sure I'll ever make it there, although I think it wouold be neat to see. About 10 miles from me - when I was working I'd go under and past it about once a week on my way to customers. ………… and as you saw in the picture - my location details are accurate. Well then, at least three things to visit in your area ... the Viaduct, a trip out to Battle Abbey, and Midaski himself. England is high on my list of places to visit, and there seems to be so much to see! Fontainbleu (second largest chataeu in France after Versailles). Copenhagen - pretty cool place. 1 week is good, not in winter! Lisbon - also a very cool place. Lots to do, and the timeout market is actually very good food, even though its on the lists, its worth it. My wife even said she preferred the tarts there, than at the famous tart shop in Belum. Modena (make sure you book Osteria Francescana ahead of time) Modena itself is cute to walk around and explore. Sydney - the harbour and Rocks area are touristy, but for good reason. Suggest trying to book Quay or one of our other 3 hat restaurants well in advance) plus you can visit me! Harajuku (Tokyo) awesome gyoza place off the beaten track - very highly rated, but pretty traditional and fun. It is. Visited there after St Niklaas. Beautiful. Loved it very much. My workplace! The BEST must see ever! I am sad none of you lot have draged yourselves over to Gothenburg to enter into the halls of the New Mountain. 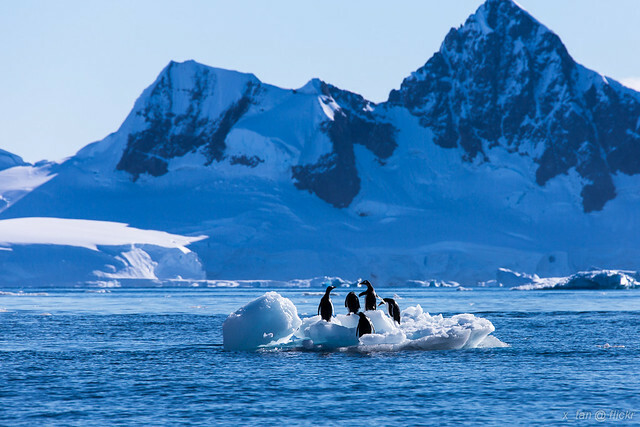 That is totally cool!There looks to be a tunnel going off to nowhere on the left. Is that the special alien garden? Looks like a neat place to visit! I enjoyed the map of the place in the lower right corner of the page. I dream of living in Montana, but age being what it is, I'll probably just visit. I recall seeing the movie "A River Runs Through It", and besides getting me all hyped for fly fishing (figured if it was half as good as in the movie it had to be very good, and it is), it also got me wanting to go to Montana. Haven't been yet, but it's going to happen.